The Wireless 3G Mobile Router will offer users of wireless internet connection (HSDPA, 3G, EDGE, GPRS) Ethernet and WLAN access with their USB, PCMIA or Express data cards. The Wireless 3G Mobile Router will offer both consumers and small business a way to provide wireless wide area networking (WWAN) for local Ethernet and Wi-Fi networks. The routercomes with a built in Type II PC card slot for UMTS, and HSDPA cards and USB slot for USB modems and sticks. The router includes a built-in 10/100 Mbps switch to connect up to Ethernet-enabled networking devices as well as an integrated 802.11g access point. 1. 1x Fast Ethernet switch: 10/100Mbps MDI/MDIX auto-sensing. 2. 1x10/100Mps WAN interface for broadband Internet access e.g. DSLCable. 3. Built-in NAT for sharing one Internet IP with multiple PCs & devises. 7. 3G ( EV-DOHSDPAUMTS)Type II PC Card Slot for ubiquitous wireless WAN access. 8. 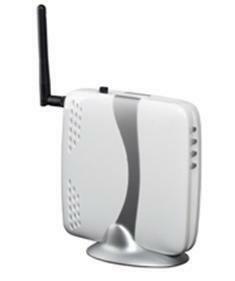 Seamless wireless access between Wi-Fi and 3G configuration. All major data cards from Sierra Wireless, Novatel, Option, Huawei or ZTE are supported. Please see the full list below.